The object of this study, first published in 1980, is to dispel the view that James Joyce had no political views. Although not a political novelist like D. H. Lawrence or Joseph Conrad, political issues and discussions are central to Joyce’s major novels. 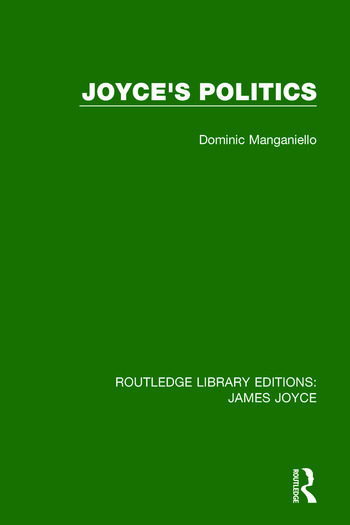 This title links that political content with Joyce’s own views, and examines the evolution of those views and attitudes. A number of unusual and fascinating sources for Joyce’s thought are uncovered. Joyce’s Politics is thus a thorough review of a neglected aspect of Joyce and his writings, and will be of interest to students of literature.